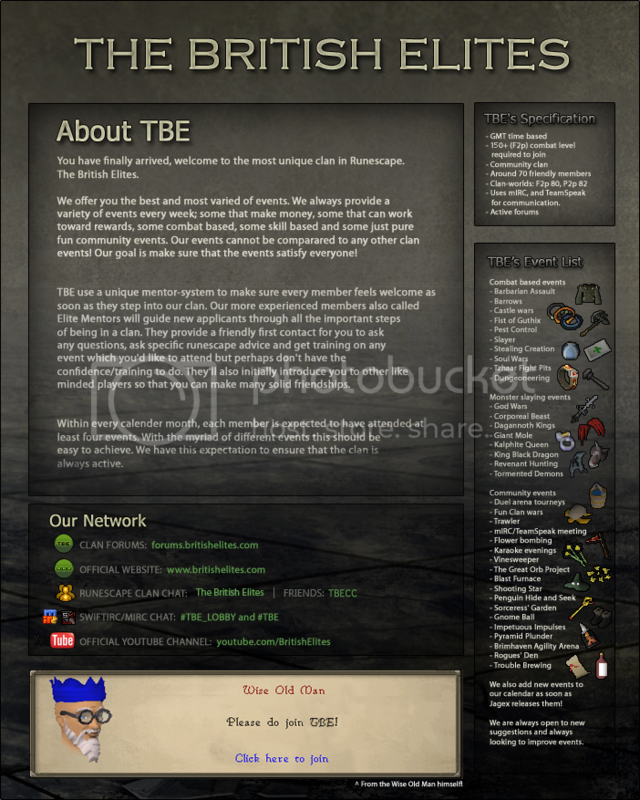 The British Elites | Community Clan With IRC/Teamspeak | Active Since 2004! Post back on the forums dug up from the depths of the abyss of other lost posts! Please use the bump feature provided next to the 'Watch Topic' button. Any replies made to the recruitment topic have to be genuine, and not solely to bump the topic. There is more information about this feature here. If you have any questions or concerns please PM me or any other clan staff. Only the topic owner has access to the bump button. So, in this case, only the 'Junglebiscui' account can bump the topic. Is it EOC only? Or do you accept 07 members also?